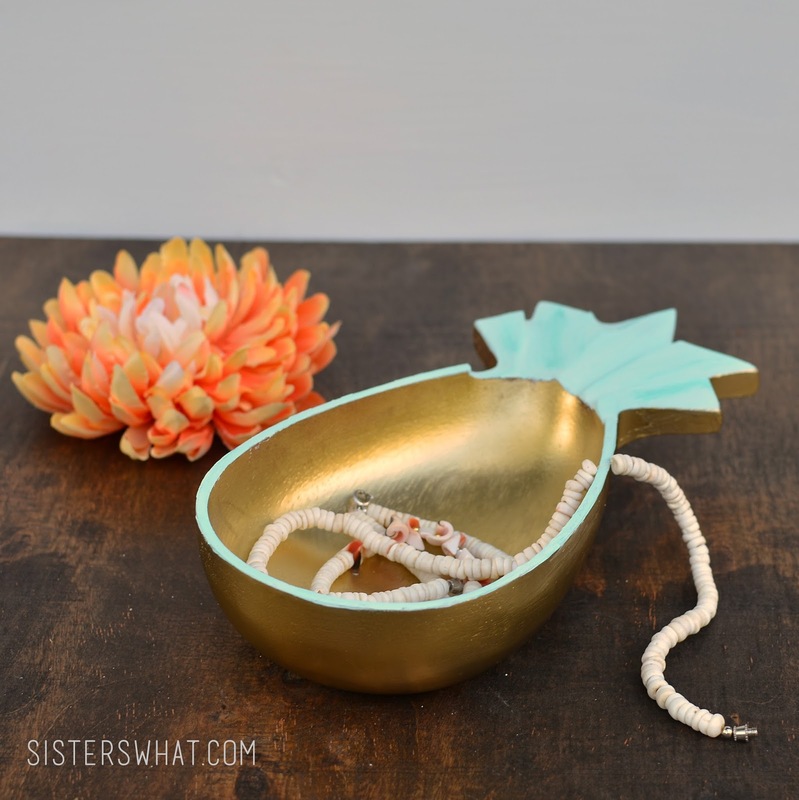 ' Mint and Gold Pineapple Bowl Revived || Pinterest Challenge June - Sisters, What! Ah you know, it's just the end of June and the temperature is supposed to be 104 degrees tomorrow! I know, I'm a total wuss, but folks I live in the Pacific North West, we rarely get 100 degree weather days; we usually start melting when it hits 80. Seriously, the perfect summer weather is what I love most about PNW. Well, we will somehow survive. Thank goodness for a.c.
And to cool things off, how about some more pineapple loving for you today. I just can't seem to stay away from it. 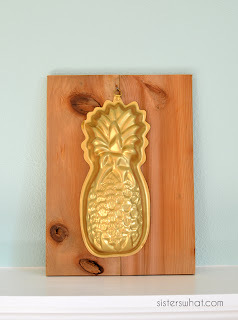 I figured my gold pineapple mold art was the right amount of pineapple for our house until I came across this vintage Hawaiian pineapple bowl at the thrift store and I just couldn't pass it up. 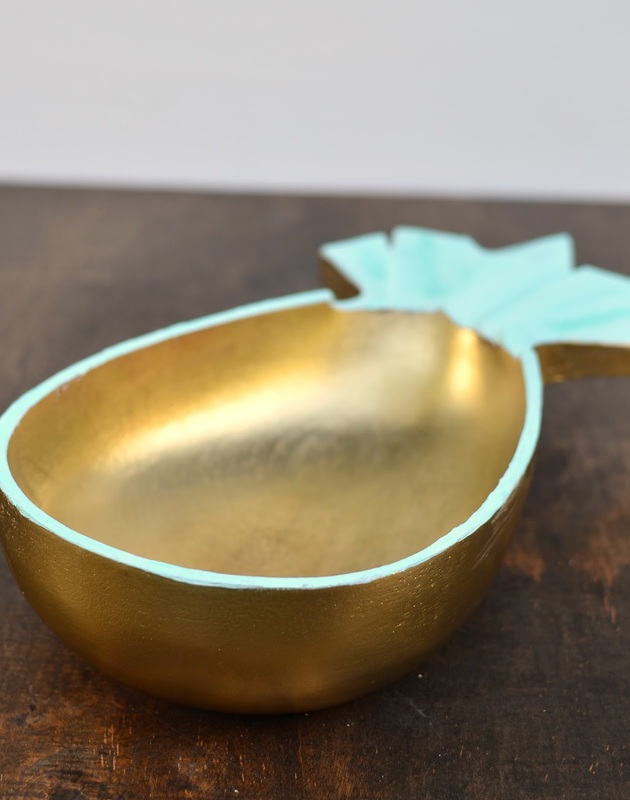 not too long ago I came across this beautiful revived pineapple bowl over at Maize Hutton and didn't realize that I found a similar bowl until I came across her blog post again. The stars were definitely aligned for this project. 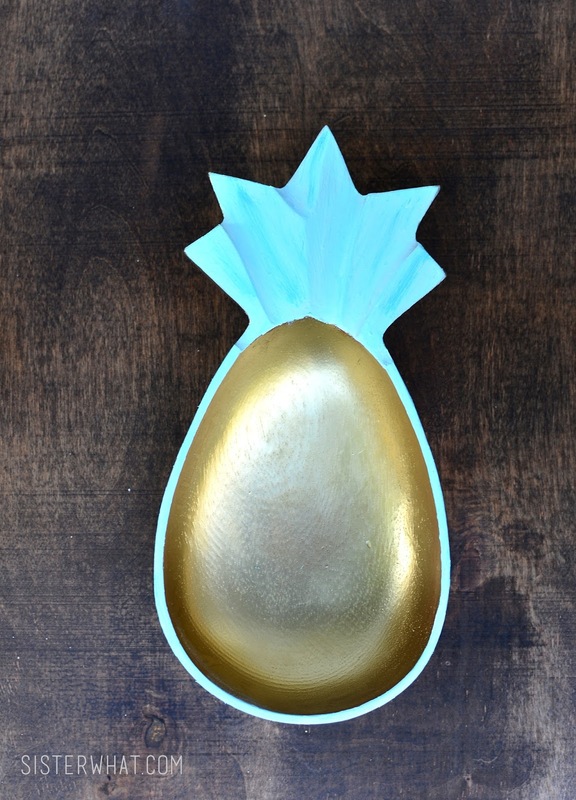 I decided on an overall gold color (mostly because I still had some left over from my pineapple mold art and pineapple canvas art). Although I feel that I can only handle so much gold in my decor, gold just feels right for pineapple. 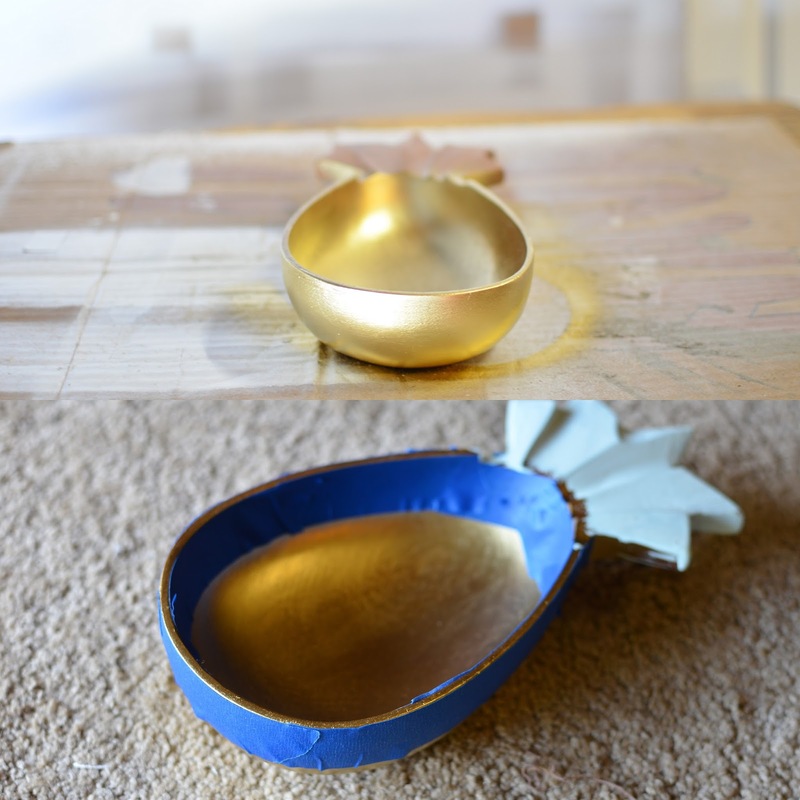 ||1|| Spray your bowls in gold first. Let dry. ||2|| I just wanted the top to be painted, so I taped to make sure I got good lines (I don't always have a steady hand). Then I painted my mint on top. 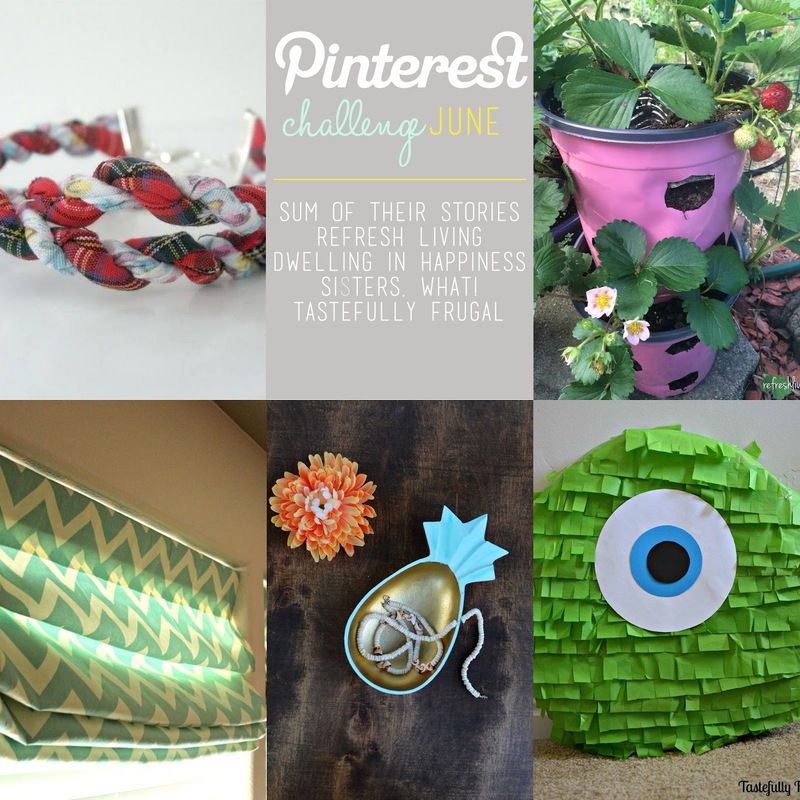 And make sure you check out my other blogging friends participating this month in this challenge. 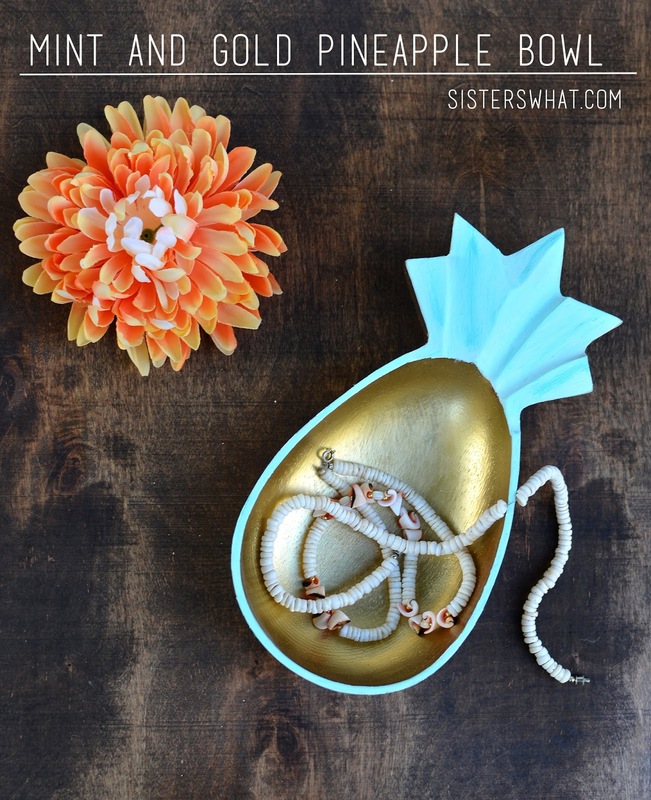 Wood Pineapple Bowl Revived || Sisters, What! Really beautiful creation. Makes me want to have a large one made as a heat helmet. Stay cool tomorrow. So cute!! I really want to make this. Thanks Chloe, I love it! These look great, and actually easy to do/hard to mess up! I know, it was really easy to do and if I did mess up I think it would have been easy to fix. It's amazing that there are such creative people to help give life to old things. I'm so grateful I found such people on blogs. I love the colors you chose for this...so cute! 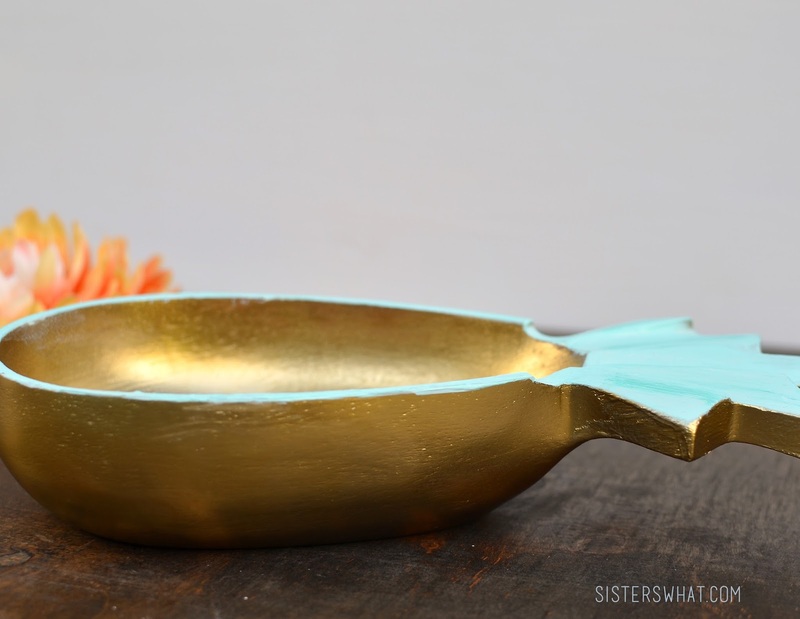 I need to keep my eyes out for some vintage serving bowls when I'm yard saling so I can try this!! It's amazing how often I've come across wooden bowls. However, my husband would not be happy if I came home with any more, haha. Such a simple and sweet transformation, and right on trend. 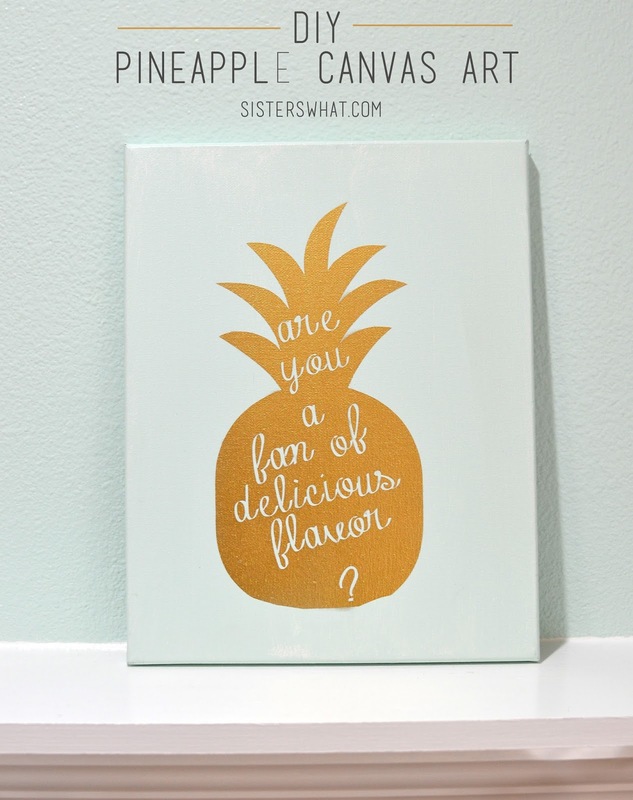 Also I just LOVE how obsessed you are with pineapples- good choice! Thank you so much! 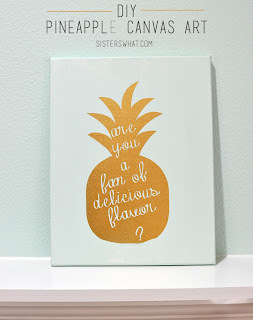 Pineapples are just too delicious not to love! !